Just north of downtown Providence is the Pawtucket Armory Arts Center, a historic building in the center of the Pawtucket Arts District. A team of local volunteers is transforming this 11,000 square foot space into an exhibition area for the largest group of exhibitions at this conference. 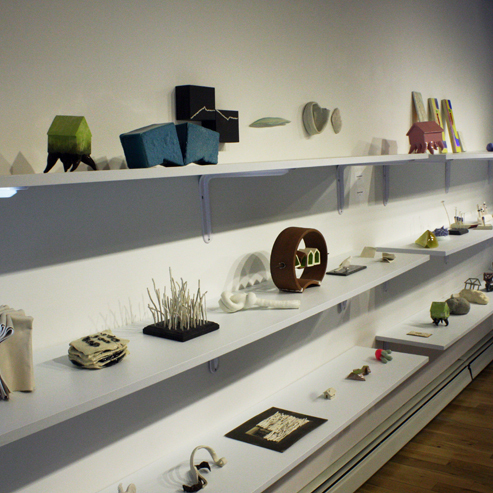 Come to one location to see the work of over 100 artists participating in six independent ceramics exhibitions. 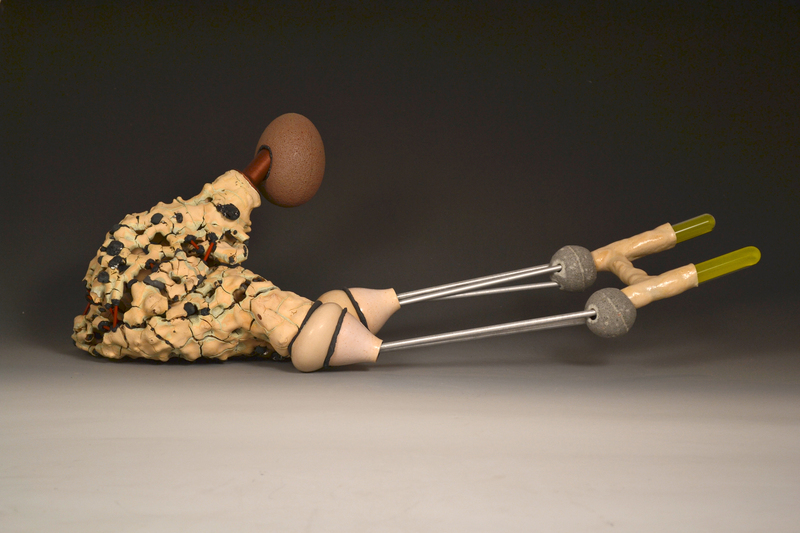 The themes are varied, and include functional, sculptural, and experimental works. Bio Rad offers an investigation of the way architecture and nature are seen through the lens of popular culture. Work by Matt Mitros. Cognitive Dissonance explores how experimentation and imperfection are important and at times glorious in artwork. Work by Ivan Albreht, Nel Bannier, Daniel Bare, Alfredo Eandrade, Khurtova/Bourlanges and more. Dot. Dot. Dot. 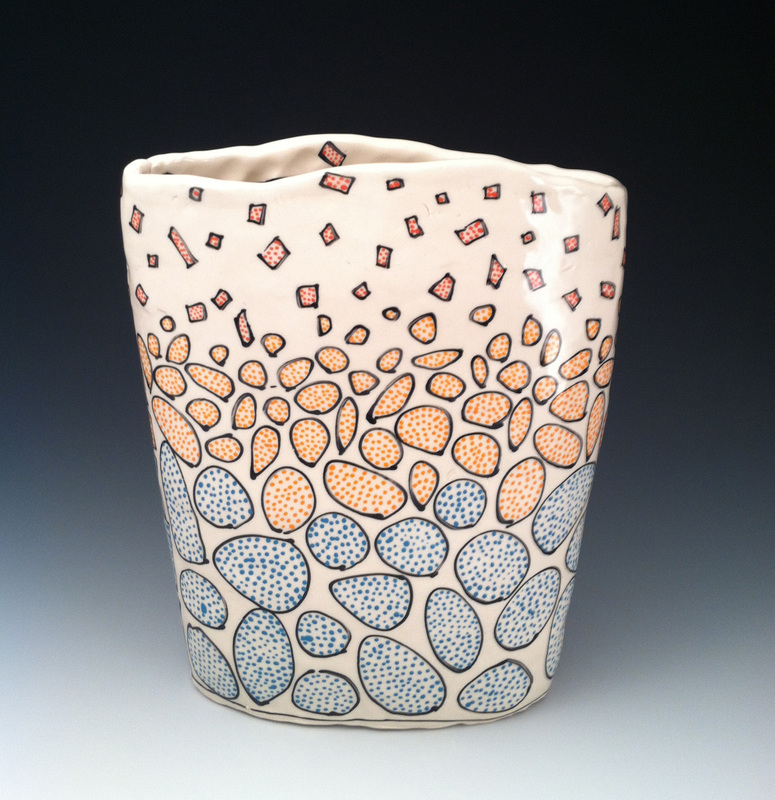 is a show that looks at the many ways a simple dot can be incorporated into pottery. Work by Andrew Gilliatt, Chris Pickett, Emily Free Wilson, Jana Evans, Martha Grover and more. This Became That: The Romantic Robots Collaborate displays the artifacts of a two-year long experimental collaboration between artists. Work by Frederick Bartolovic, Casey McDonough, Robin Strangfeld, Blake Jamison Williams, Lauren Herzak-Bauman and Kimberly Ellen Greene. Apprenticelines: Divergence/Continuity/Community looks at the artistic connections that form between professional studio artists and their apprentices. Work by Silvie Granatelli, Jerilyn Virden, Ian Anderson, Mark Hewitt, Daniel Johnston and more. To Be Determined explores process-oriented artwork, and the tools and tests that are utilized by this group of artists. Work by Naomi Cleary, Rain Harris, Rebecca Harvey, Meredith Host, Janet Macpherson, Kyla Toomey. Hours during NCECA: Wed 9am-5:30pm; Thu 9am-5:30pm; Fri 9am-9:30pm; Sat 9am-5pm. Reception: Fri, Mar 27, 6-9pm.